When my friend invited me to Kobe, she asked if there was anywhere in particular I wanted to go. Starbucks, was the answer I gave. In Japan, I’ve become somewhat of a Starbucks fanatic. I was never like this in the states. 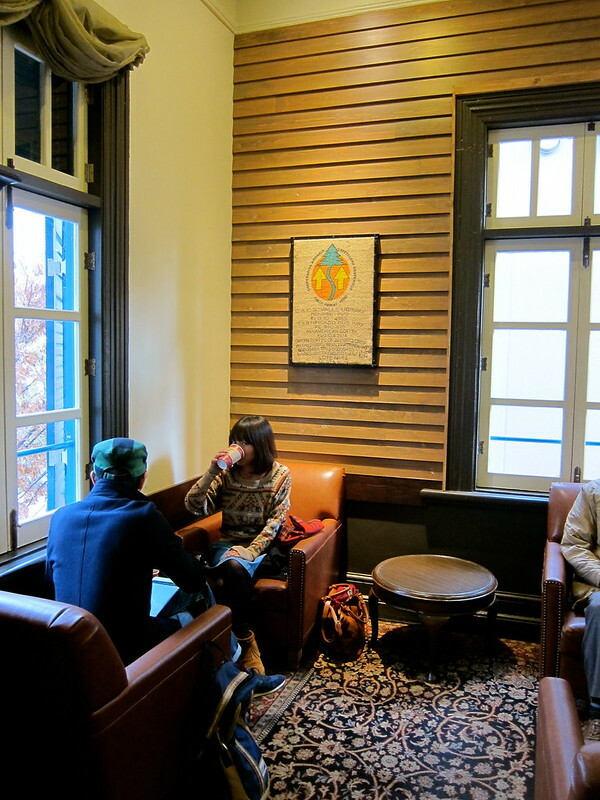 Being from Portland, just about every local coffee shop was a better option than Starbucks, but somehow that’s just no true in Japan. Despite being on a quest for unique, local coffee shops in every city, I often default to Starbucks. Their overly sweet lattes, spacious seating, bathrooms, and the fact that you can sit for as long as you like without being bothered (this seems to be true all over the world), keep me coming back for more. 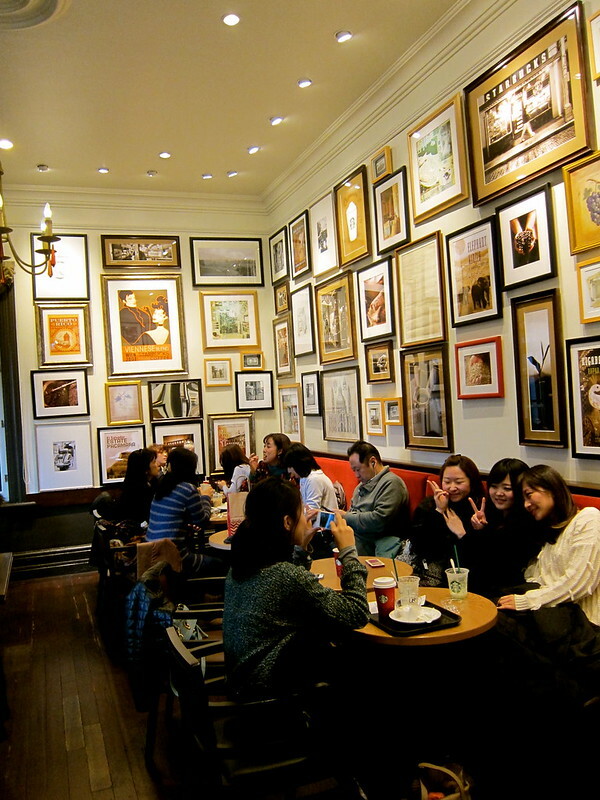 Japanese people must agree with me, because everywhere I go in Japan, Starbucks is packed. My friend, who is not a Starbucks fan, and only took me begrudgingly (thanks, friend), suggested the Kobe Kitano Starbucks. 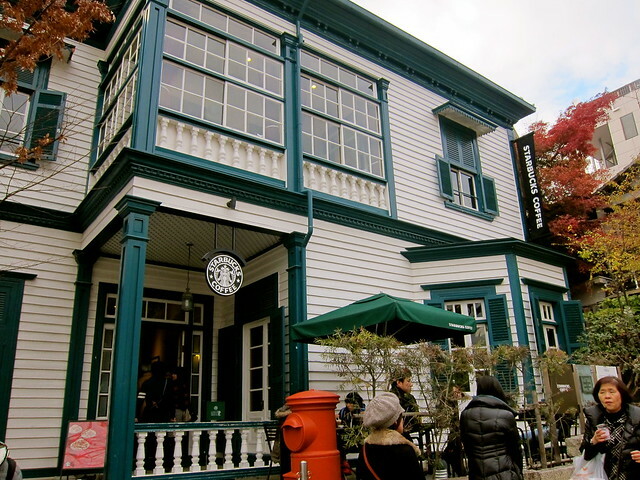 This Starbucks is housed in a historic home, which is reminiscent of Kobe’s Victorian past. 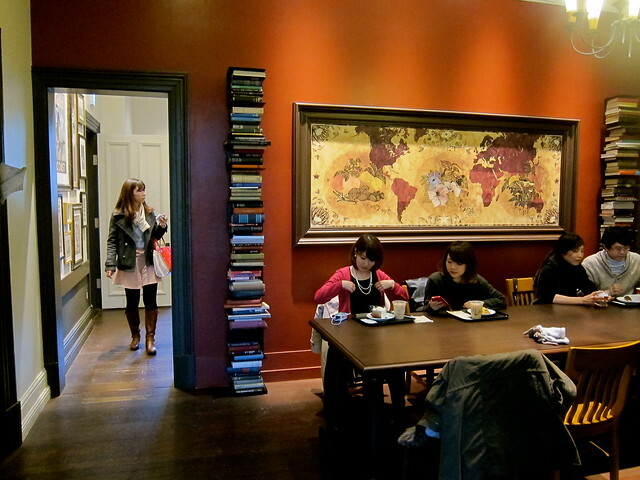 Although the seating is abundant in this sprawling Victorian mansion, the holiday crowds brought this place to its knees, and as we meandered through the mob of people, down the narrow Victorian hallways, and up the red-carpeted staircase I thought, no wonder modern café design is what it is. Imagine a line of seventy people, starting at your kitchen and snaking outside your front door, all waiting to order drinks and find a seat among the eighty some chairs and couches that are already filled. It was like a house party gone rogue. So goes the story of Starbucks in Christmas time. Eventually I convinced my friend to sit in the courtyard outside. 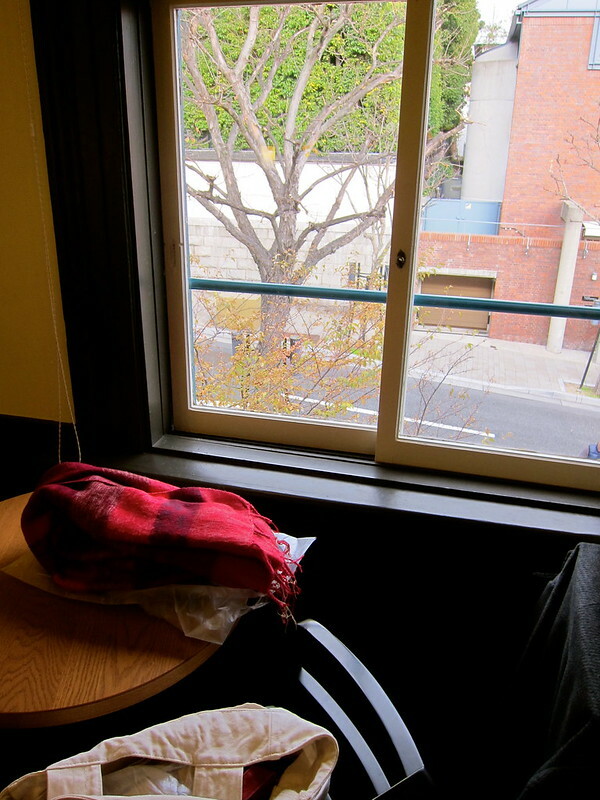 I love outdoor seating, even in winter, and Japanese people must disagree with me, because I rarely see them sitting outside at a café.